What I enjoy most about my e-discovery practice is that regardless of what the issues are in a case, I have the opportunity to help clients find the people and documents that will tell their side of the story in the courtroom or to an investigative agency and help them achieve a successful outcome. Jill Bindler is the firm’s go-to advisor on all aspects of E-Discovery in litigation and investigations involving complex, high-volume document production obligations. She guides litigation teams and client legal and IT departments through every phase of the E-Discovery process, from document preservation and collection to review and production. Jill’s goal is the same in every case – provide an accurate, cost-effective process to reduce responsive documents to a more manageable size, while also helping clients maintain compliance with all E-Discovery legal and ethical requirements, including compliance with protective orders, confidentiality and non-disclosure agreements and protecting information covered by attorney-client privilege and work product protection. An accomplished trial lawyer, Jill achieved favorable results in numerous complex commercial litigation and patent infringement matters before deciding to focus primarily on E-Discovery. She has been dedicated to pro bono service throughout her career and continues to represent indigent defendants in federal court through her service on the Criminal Justice Act Panel. 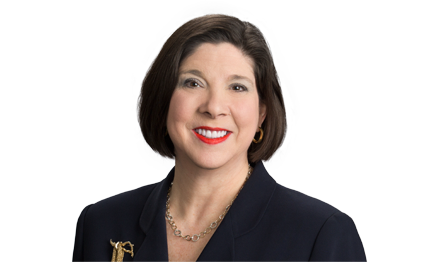 Before joining Gray Reed, Jill clerked with the Honorable Alex H. McGlinchey of the Northern District of Texas – Fort Worth Division and was an associate lawyer at McKool Smith and Brackett & Ellis. Before entering private practice, she was an Assistant Federal Public Defender and an intern for Magistrate Judge Judith K. Guthrie of the Eastern District of Texas – Tyler Division. Represented owner of standard-essential and implementation patents related to telecommunications and networking in litigations against various smartphone and tablet companies. David was part of the team that recently obtained a jury verdict of infringement, willfulness, no invalidity and more than $10 million in damages for the client. Representing a laboratory, and its principal, in parallel civil and criminal investigations related to allegations of illegal kickbacks and Medicare fraud. Representing physician in connection to an investigation by the Office of the Inspector General and the Department of Health and Human Services into illegal kickback and billing fraud. Conducting an internal investigation into illegal kickback and billing fraud allegations on behalf of a large Houston-based healthcare company. Representing a healthcare marketing company in connection to an investigation conducted by the Justice Department and the Office of Inspector General of the Department of Health and Human Services. Representing large family trust in connection with claims by the Internal Revenue Service of fraudulent transfer and alter-ego. Represented a global telecommunications company in a patent infringement and breach of contract dispute in the Eastern District of Texas, Northern District of California and the International Trade Commission related to LTE, WCDMA, and GSM/GPRS/EDGE technologies. Represented a global telecommunications company in patent infringement and a dispute over fair, reasonable, and non-discriminatory (FRAND) terms for a license relating to LTE, WCDMA and GSM/GPRS/EDGE technologies in the Eastern District of Texas and Central District of California. Represented a patent licensing company in a patent infringement lawsuit relating to 802.11 compliant Wi-Fi devices. Represented an oilfield services company in several patent infringement matters involving hydrajet fracturing of oil and gas wells and a method of forming composite parts for use in downhole tools. Represented a data management company in a patent infringement matter regarding emergency medical data. Represented a provider of financial payment processing solutions in a patent infringement matter involving electronic funds transfer technology. Represented a major government contractor in a False Claim Act litigation. Represented an interstate natural gas pipeline company, against a class of landowners seeking to have a court-appointed master take control of the pipeline system due to alleged violations of the Pipeline Safety Act. Represented a medical device manufacturer in a case alleging theft of trade secrets and breach of contract.